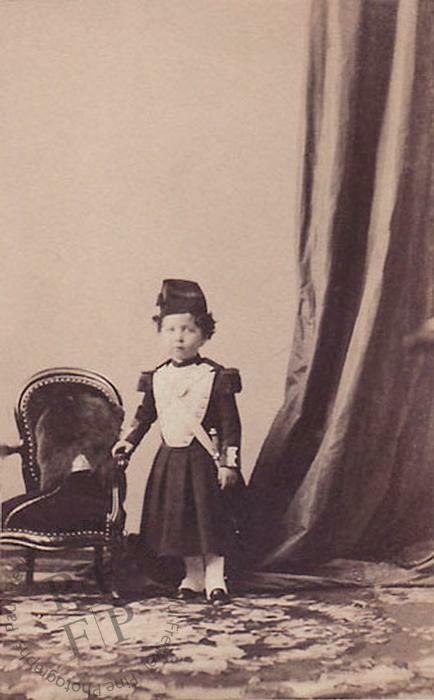 Born on 16 March 1856, the Prince Imperial appears to be about two or three years old in this photograph. The military uniform that he wears symbolized the commitment of his father's regime to military strength. The costume is therefore not only 'cute' and amusing, but also part of a campaign of political propaganda.